How does Changhe Hebei Changan differ? After Bachang took over Changhe Automobile, it finally settled last week. Changhe, who had a â€œdivorcedâ€ relationship with Changâ€™an, eventually got his wish to â€œre-marryâ€ BAIC, and this â€œdowryâ€ was abundant. According to the agreement already signed, before 2020, BAIC and Jiangxi State Control will jointly transfer 27 billion yuan to Changhe Auto, which is a huge investment. Regarding the merger and reorganization that the industry is highly concerned about, the industry has different views. Some people have been struggling for Beiqi's development of the Changhe River. After all, from the perspective of the development in recent years, Changhe Automobile has been shrinking. After the business, Changhe, the veteran micro-car brand, has been forgotten by the market. Where does Beiqi play against Changhe? Xu Heyi, Chairman of BAIC Group, which has extensive experience in joint ventures and cooperation, is well aware of the principle that â€œpeople who have the hearts and minds of the peopleâ€ can be found. In the face of the Changhe Auto, which the industry called â€œthe spirit of rebellionâ€, Xu Heyi played a card to appease the army - four â€œunchangedâ€ rations to 5,000 Changhe people: The reorganized Xinchanghe Company will maintain the legal person. The status remains unchanged, the business entity remains unchanged, the production base remains unchanged, and the Changhe brand remains unchanged. At the same time, BAIC described a bright future for Changhe: The reorganized Changhe will rely on BAIC and Suzuki to develop a joint venture and independent product system. The products range from B-class cars to mini-vehicles, from cars to SUVs and MPVs. The most important thing is that Beijing Auto gave Changhe enough autonomy. After the reorganization, the main management, technology and development of the new company still depended on the employees of Changhe Automobile. BAIC only dispatched sales and financial representatives to participate in the business of Changhe in the future. What Changanâ€™s most wanted and didnâ€™t get was also the key to Beijingâ€™s eventual acquisition of Changhe. Beiqi Group also has strategic considerations for Changhe Zhiyi, Xu Heyi and his Beiqi. First, the product lines are complementary. The BAIC Group has more products with a displacement of more than 1.4 liters, and most of Changhe's automobiles are small displacements of less than 1.4 liters. There is no conflict between the two and the products are highly complementary. Second, regional complementarity. In the past, the major markets and network channels of BAIC Group were more north than south, and from the perspective of industrial layout, it was the need to expand BAIC Group's presence in the southern market. Third, Beiqi is conducive to the goal of becoming bigger and stronger. This year, BAIC Group's production and sales volume is expected to reach 2.1 million, and it will enter the first echelon of the Chinese automobile industry as soon as possible. The reorganization of Changhe Automotive is critical for BAIC to form a scale advantage as quickly as possible. The state encourages merger and reorganization of the automobile industry and allows BAIC to merge smoothly with Changhe. This year's merger and reorganization of BAIC Group took a drastic move in the domestic market. In August of this year, the People's Government of Zhenjiang City signed a strategic cooperation framework agreement in Nanjing. The East China Base has settled in Zhenjiang City, Jiangsu Province, with a total planned investment of 15 billion yuan; on October 26th, The BAIC Yunnan Industrial Base (Ruili) cooperation agreement was signed in Kunming with a total planned investment of 3.6 billion yuan. On November 19th, it signed with Daimler on the full-scale strategic cooperation delivery document, and it has entered a substantial new cooperation period. In addition, the Changhe Automotive Huaqibeiqi. Xu Heyi's development strategy of â€œgo togetherâ€ will support Beiqiâ€™s goal of achieving the first echelon of the domestic auto industry by achieving a vehicle production capacity of 4 million units and a total operating revenue of RMB 450 billion in 2015. Conveyor Bearing is rolling element bearing used in conveyor system. Such as Deep Groove Ball Bearing used in bulk Conveyor Idler Roller , Spherical Roller Bearing and Self-aligning Ball Bearing used in Conveyor Drum Pulley etc. which plays a role of reducing the friction among the components. Heavy (or bulk) conveyors often endure contaminants and dirty in harsh environment. The most important part of idler roller is bearing. 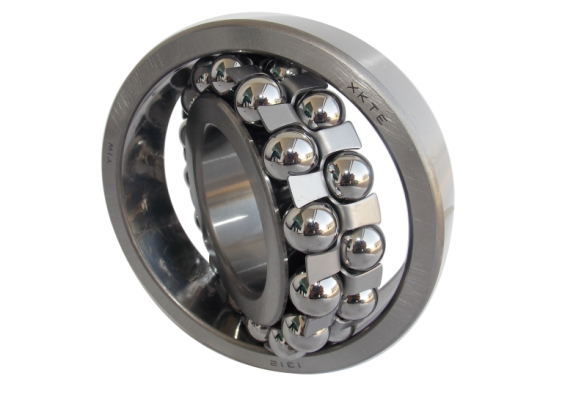 It is unique design deep groove ball Bearing For Conveyor Idler that meet all challenges: extremely different temperatures, low-speed, bulk materials handling, humidity, dust, dirt, as well as noise and vibration environments. 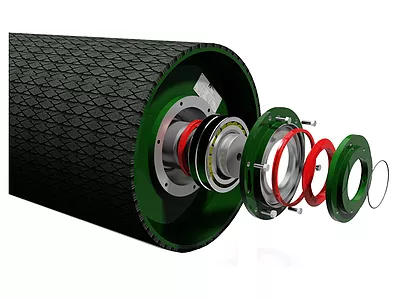 Conveyor Bearing usually need large Clearance such as C3/C4, Reinforce iron retainer or unique nylon retainer(superior anti-static and anti-sticking) and inner/Outer rings, Sealed type, with good anti-sticking performance. 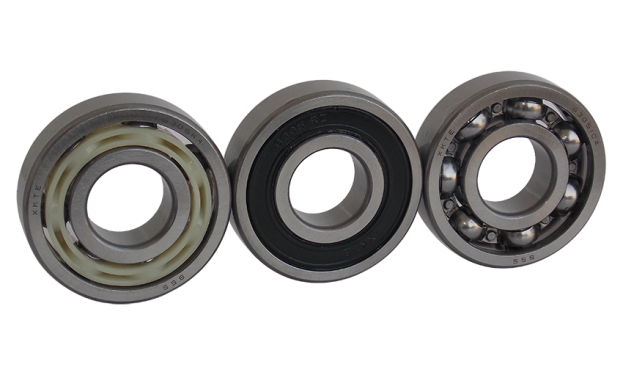 While cannot use standard Bearing, they will cause big running resistance, brake and reduce lifetime of bearing. 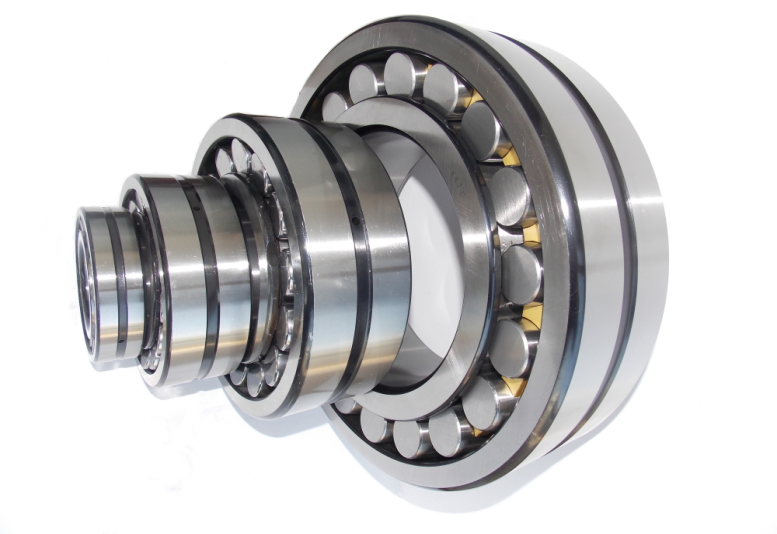 Double-row spherical roller bearings are capable of carrying heavy loads in both radial and axial directions. They are self-aligning, thus compensating for shaft deflections and seat misalignment. Available in a variety of standard and special designs, with cylindrical and tapered bore. Self-Aligning Ball Bearing for conveyor drum pulley. With more than 10 years of conveyor bearing experience, we can assist you with selecting the appropriate bearings for your system. Welcome to visit our Factory. If you have any questions, please contact with us directly.